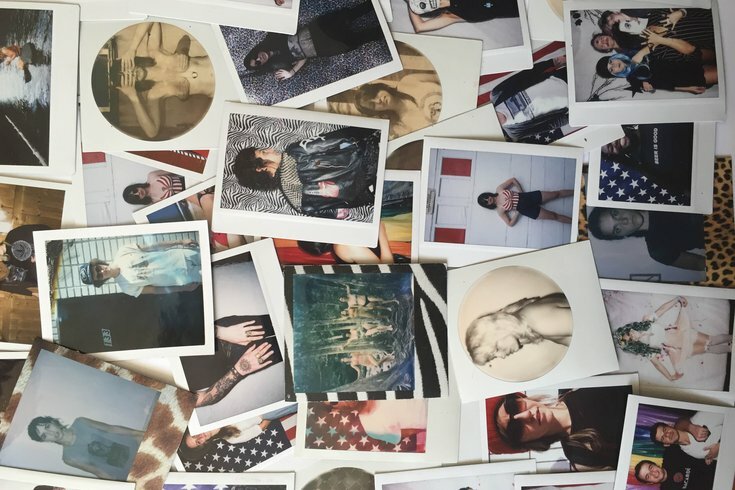 Pop Up Polaroid celebrates a year of celebrating instant photography. Why Polaroids? What is it you like about them? A couple years ago I got to a point where I was so overwhelmed by the options that digital photography offered I found myself uninspired to use my camera. Polaroid was my first love in photography. So I picked up an old camera and decided to play with it to remind myself why I loved taking pictures. And I haven't been able to stop since. They are the most social cameras around. You walk down the street with a Polaroid and it starts a conversation. You take a Polaroid and the instinct is to immediately show it to someone else, pass it around. Then there's the one-of-a-kindness they offer that is unlike anything else in photography. You take a Polaroid and you own it. No one can steal it. You don't need to watermark it. It's yours and that's the only one. It makes every photo so special. And, of course, the magic of watching a Polaroid develop in front of your eyes, that never gets old. There’s a commitment that comes with Polaroids, right? Unlike digital photography where you can fire off a ton of shots, Polaroids kinda demand you get the shot right the first time. Do you think this leads to more thoughtful photography? Or better photography? I would never say better, or even more thoughtful. I think every camera dictates the kind of photographs you make. Every camera makes you see the world a little different. With Polaroids, everything has to be done in camera. And there are a million little idiosyncrasies that create a relationship between photographer and camera like no other I've experienced. For example, often times the camera's viewfinder doesn't line up with the lens. So no matter how careful you are in composing a shot you're never going to get exactly what you see in the frame. Polaroid has ... little ticks like that. It definitely takes some getting used to and there are always surprises. But that's what makes it exciting! I'm just as excited to see how the picture comes out as the people I photograph. Every time. Not to mention: Film's never been cheap. You learn pretty quickly not be careless with the shutter. You also have so many restrictions with Polaroids. They are simple machines without too many options. So there's a relationship to Polaroid you don't get with other cameras because everything has to be done in that moment with an understanding of their limitations. Pop-Up Polaroid gets hired for a lot of weddings and such, right? Have you noticed any trends from watching a year of people posing? Well, the thing I hear most often is, "What should I do?!" Most people don't like posing or feel 100 percent comfortable in front of someone else's camera. So making people feel good is my job and I love that. I love that I get to interact with so many people and that each picture is a collaboration between the photographer and the subject. And I always keep a bunch of funky props on hand for the super camera shy folks. I’ve been thinking about impermanence recently. The office where I work is in a co-working space. I sit in the same spot every day, but when I leave, I take everything with me. If I never come back, there will be no sign I was ever here. 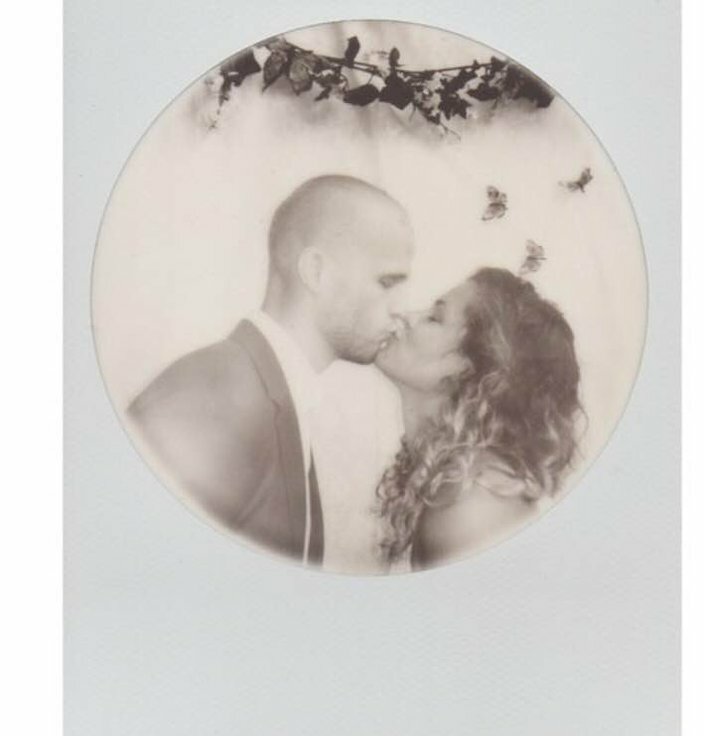 Do you think of Polaroids as a force against impermanence? Or is it just me? Definitely. Speaking in terms of photography, our sense of picture taking has become so fluid. We are constantly taking pictures of ourselves and our world. Every image is fleeting. But Polaroids are real. You can hold them and put them on your wall. 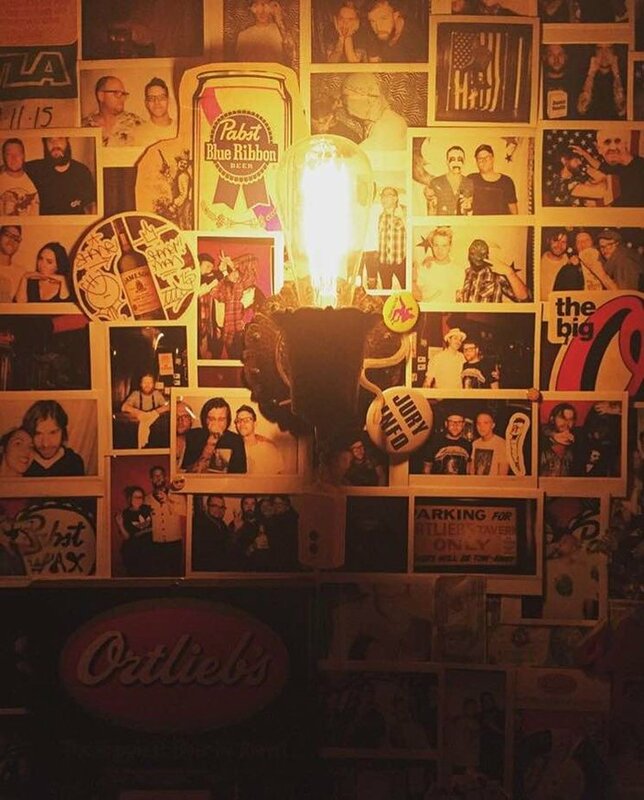 They're mementos that become a physical part of your history. I think that's a reason why people are still drawn to them. "People are taking more pictures than ever but never really look at them." Polaroids were, like all film cameras, pushed aside by digital photography, but regular people rarely seem to print out their photos. Why do you think that is? What are we losing as film cameras are being phased out? Phased out?! Haha! I certainly hope that doesn't happen! Not while I'm around. But seriously, I think the outlets we have for photos create an environment where once you post it and people stop liking it, it's dead, in a way. People are taking more pictures than ever but never really look at them. We have thousands of pictures on our phones or Instagram but they aren't intimate anymore. Our personal photos exist in this weird ether where everyone has access. I'm not sure we know what we're losing yet. History? Are we going to scroll through our Facebook photos with our grandkids? Something feels wrong about that. I hope that as they become less and less of a norm, more people will see the value in physical images. It happens over and over again that I hand a kid their first Polaroid and they say "Wow this is way cooler than a phone!" So I have hope. Featuring a Polaroid exhibit, print swap, emulsion lift/negative bleaching workshop, photo booth, beer. Saturday, July 23, 3-7 p.m.